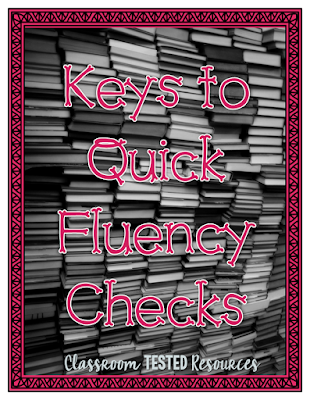 Fluency checks can be quite daunting. They are so time consuming! Teachers have to work with each student individually. And just what should the other kiddos do while you are working with only one? Teachers love the data that running records give but sometimes the classroom management aspects can get out of hand. I have opted to do a shorter version of running records in my class. 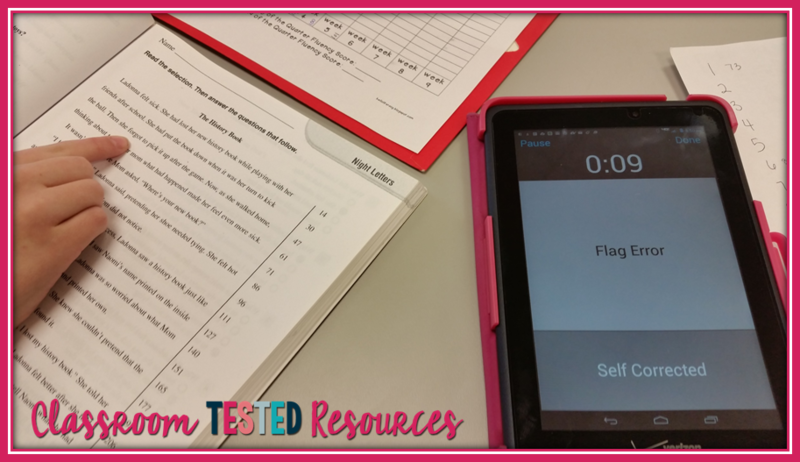 This way I can check each student's fluency while doing it quickly and efficiently. There are 2 keys to doing a quick fluency check. 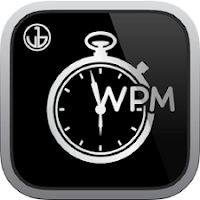 Key 1: The student only reads for 1 minute! Do not have the student read the whole passage or book. You only need a 1 minute sample! My school has Reading Street. 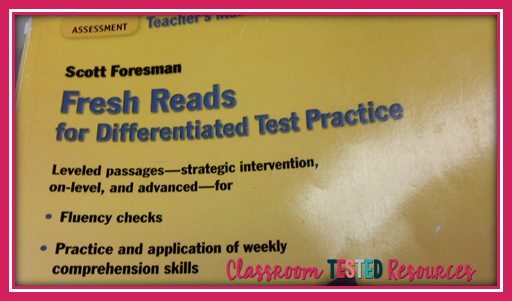 The Fresh Reads selections from Reading Street are perfect for a quick fluency check. They are already marked with the number of words and there are some for each story. Most reading series will have something similar to this. Key 2: Only mark how many errors a student makes! In this check, we are not looking for every little thing the student does. And we are not analyzing their errors. 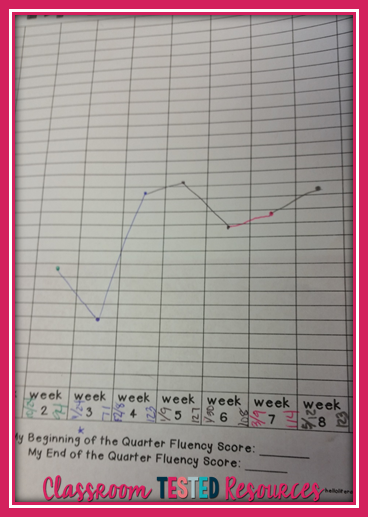 We are simply checking students' fluency and monitoring their progress. Before apps and smart phones, I kept a tally of a student's errors on paper. (Gasp!) Now there are fabulous apps to help you track mistakes a student makes reading. I use a free app: Running Record Calculator Lite. 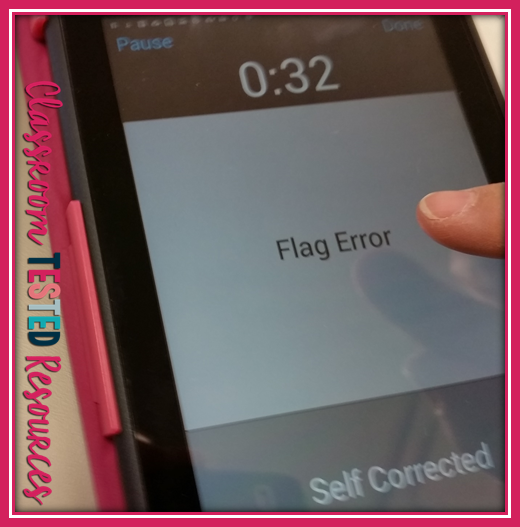 I simply start the time and then tap the screen when the student makes a reading error. If they self-correct, you tap the bottom of the screen. 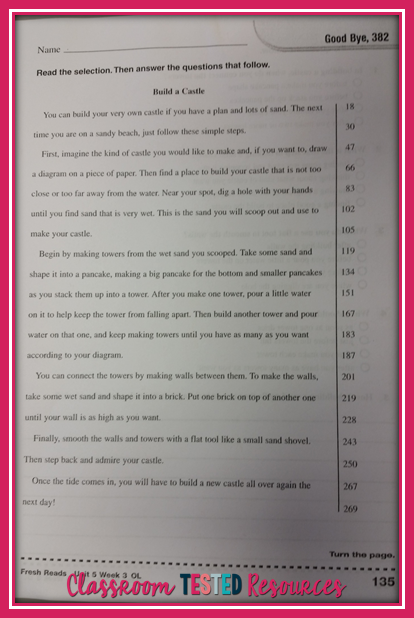 The student reads for 1 minute. At the 1 minute mark, stop the student and press "Done". 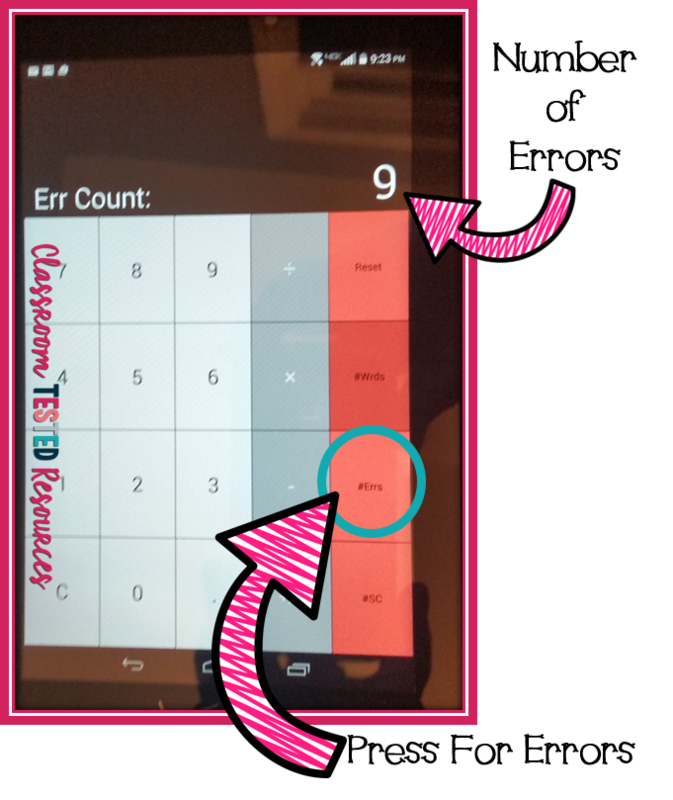 Press the "#ERRS" button to see how many mistakes the student made. Self-corrected errors have already been removed. Since these fluency checks are quick and painless, I tend to do them more often. The more often that I do them, the better I get to know my students' reading abilities. I know who has trouble reading too fast, who has no expression, who never self-corrects, and so on. 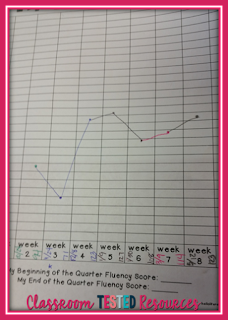 My final step in these quick checks is for students to record their fluency on a graph. I take a moment to counsel the students on improvements and goals. How do you monitor your students' fluency?